Left-liberal elites are meeting their match. Now history is repeating itself. Liberal-left ideas dominate European Union (EU) politics, but most Eastern European countries seem to be hesitant to embrace them. The general sentiment in Brussels is that Eastern Europeans lack enlightenment in terms of progressive ideas. However, is the driving force behind Eastern Europe’s conservatism really backwardness? Or is there an experience common to this diverse group of nations that explains their resistance to liberal-left ideas? The common history of Eastern Europe began with the establishment of communist rule after WWII. Believed to be a progressive idea that would dramatically improve society, communism had only one flaw: People were not eager to accept it. Thus, after the “enlightened” elite seized power by fueling a conflict between different social groups, communism had to be imposed by force, starting with militant atheism, a glorification of the ideas of Marx, gun control followed by the abolishment of private property, minority empowerment, reproductive planning, government involvement in early childhood education, and the introduction of political correctness. It is not surprising then that many Eastern Europeans identified parallels between the liberal-left agenda and the communist system they had experienced in the past. 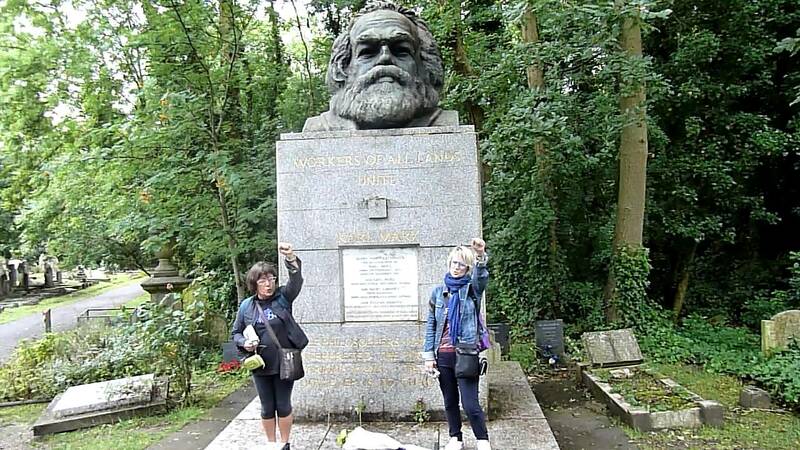 By defending Karl Marx’s legacy in a public speech on May 5th of this year, EU president Jean-Claude Juncker only confirmed their worst suspicions: Communism is returning and today’s EU elites do not mind being associated with it. EU bureaucrats do not seem to understand why Eastern Europeans are rejecting the resurgence of a Marxist worldview. Ignorance and “forceful enlightenment” by placing democratically elected governments under pressure, appears to be Brussels’ current strategy for overcoming “social backwardness” in Eastern Europe. External interference that aims to impose liberal-left values, however, has made the association with communism even more powerful. As a result, Eastern European societies are becoming increasingly unified against what they consider a threat to their new-found freedoms, best demonstrated by the landslide victory of Viktor Orban’s party in the 2018 parliamentary elections in Hungary. The Russian leadership understands quite well how Eastern European societies work and uses this knowledge very successfully to expand its influence amongst conservative Europeans. A Russian ideological victory in at least some Eastern European countries could have far reaching consequences, since it may very well paralyze both NATO and the EU by using “divide et impera” tactics. As an example, Konstantin Malofeev, a Russian billionaire with close ties to the Kremlin, is establishing a European network of Christian and patriotic organizations aiming to promote Russia as the only conservative authority in the northern hemisphere. President Trump, realizing that Eastern European countries are under pressure from both Brussels (economically and socially) and Moscow (militarily and ideologically), made two significant moves by (1) strengthening NATO by insisting that all member states increase their military spending and ensuring that NATO would honor its commitment to protect its members, and (2) publicly opposing the liberal-left agenda, thus taking a step toward the important strategic goal of stopping the drift of conservative voters and decision-makers in Europe toward Russia. These are promising first steps; however, more needs to be done. First and foremost, the free democratic countries must strengthen their alliance by focusing on the issues that unite them (e.g., anti-terrorism, defense, science, and free trade) rather than pushing forward political agendas that cause internal divisions and provide potential adversaries with political ammunition. Marin Guentchev received his M.D. and Ph.D. from the University of Vienna, Austria. Currently he is founder and owner of Trinity Medical Center in Sofia, Bulgaria and is Junior Professor (Privatdozent) for neurosurgery at the University of Heidelberg, Germany.